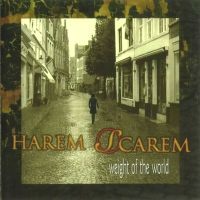 Fans of the Canadian hard rockers Harem Scarem will have Mood Swings in their collection and might wonder why the band re-recorded the album they released in 1993. Well, the answer is pretty simple, the band wanted to make the album available again in a up-to-date sound quality, but they don't own the masters. So they re-recorded the songs in 2008 - just before the band split up. The newly recorded songs sound fresh and have edges. And as only 3 tunes are new ones, I won't talk about the songs which hard rockers know for 20 years as the songs of Mood Swings. The first bonus track is World Gone To Pieces, it's a heavy melodic rocker with a dark edge. But it also offers some uplifting moments during the chorus. Anarchy is my favorite of the bonus tracks, coz it's a songs which offers different facets - it has the typical Harem Scarem chorus, but also some slow passage which sounds a bit dark as well as some melodic passages which have a Beatles-que edge. Or surprise you with a piece which sounds like the music of an old-fashioned circus. Last, but not least there is Brighter Day, a song which seems to be written on a bright day... It's closer to the Mood Swing tunes then the other 2 bonus tracks. If you have Mood Swings from 1993 you might consider to get Mood Swings 2, if you don't have the 1993 release and love old span , then get it now. 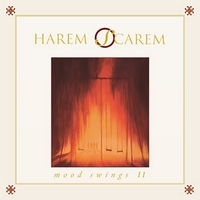 Does anybody remember the album Mood Swings of Harem Scarem which was released in 1993? If you're answer is yes and you still like this album, you'll love the new one! If you don't remember the hard rock shooting starts from Canada, but would name bands like Giant, Nightranger and Tyketto as your faves, listen to Weight Of The World! The Canadian quartet was successful in Europe and American in the early 90's and conquered the Japanese market in the mid-90's. Now singer / guitarist Harry Hess and his partner in crime lead guitarist Pete Lesperance are back! Outside Your Window is a sing-along hard rock track which offers powerful guitars as well as acoustical parts and presents the album very well. The quartet managed to bring the old magic and add some new influences to make Weight Of The World a modern sounding album. These days hard rock is on it's way back and Harem Scarem might be part of this movement. Unfortunately they couldn't keep the quality level of the first tracks for the whole album.... The ballad This Ain't Over is a decent song, but miss the special something... If You could be a hit on the American college radio stations... With Interlude and See Saw the album offers two instrumental tracks which IMO aren't essential for this album. A rocking track called Voice Inside is the last track on the album and reminds me of something else... A decent album at all.